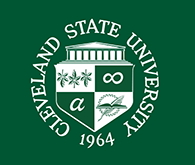 Cleveland State University Library News Topic: PROQUEST SERVICE ALERT : ProQuest Databases Will Be Unavailable from 10 PM Sat. to 6 AM Sun. January 28-29. PROQUEST SERVICE ALERT : ProQuest Databases Will Be Unavailable from 10 PM Sat. to 6 AM Sun. January 28-29. On Saturday January 28, 2017, ProQuest will be performing maintenance to upgrade its infrastructure and enhance security. The maintenance is scheduled to begin at 10:00 PM EDT and will last for eight (8) hours. Posted 2017-01-25 06:59:17 by Lauren_Felder.